ANOKA, Minnesota - January 11, 2018 - Speer will launch five new products within several lines during the 2018 SHOT Show (Booth No. 14551), January 23-26 at the Sands Expo Center in Las Vegas, Nevada. Highlights include the new Speer Handloading Manual No. 15 and Gold Dot 200-grain 10mm Auto. Gold Dot ammunition’s reliability has made it the No. 1 choice for law enforcement, and the powerful 10mm Auto load offers the same performance for self-defense. 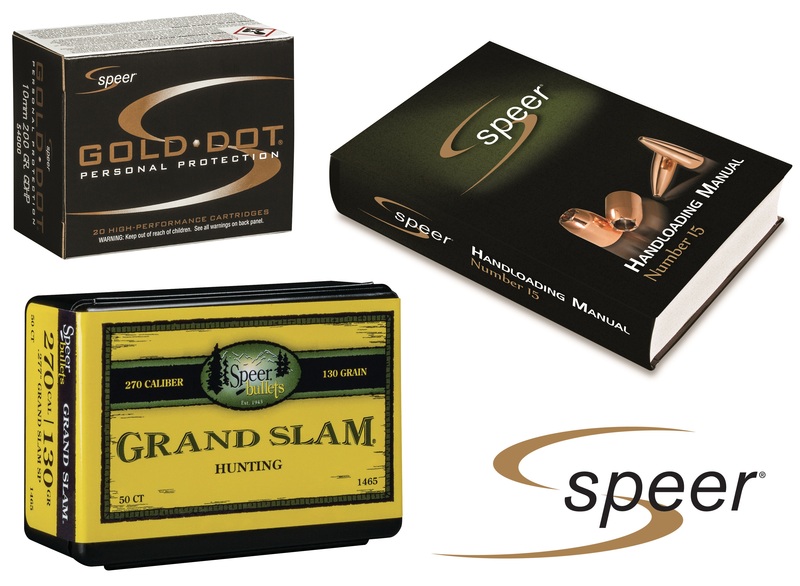 Additionally, the new edition of the Speer Handloading Manual features updated recipes with the latest propellants for more than 120 legacy cartridges, as well as data for 13 new cartridges, including 204 Ruger, 6.5 Creedmoor and 300 Blackout. Speer is a brand of Vista Outdoor Inc., an outdoor sports and recreation company. For more information on Speer, go to www.speer-ammo.com.